The Palace of Tokyo, inaugurated during the Universal Exhibition of 1937, was built by Dondel, Aubert, Viard and Dastugue. 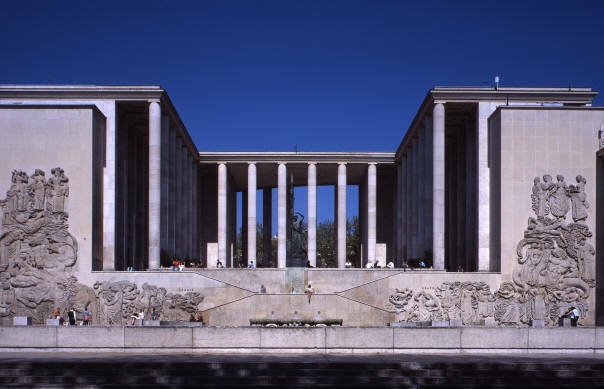 It was intended to protect the future collections of Modern art for the State and the City of Paris. Janniot clothed this palace with large carved frescos representing the “Legend of the Earth” and the “Legend of the Sea”. The palace is a concrete framework, filled with hollow bricks, the whole faced by stone slabs. The two buildings house the two Museums of Modern art, connected by a broad peristyle.